Golden Globe Award nominee Simon Baker stars as Patrick Jane, an independent consultant for the California Bureau of Investigation with a remarkable track record for solving serious crimes using only his razor sharp skills of observation. Notorious for his blatant lack of protocol and his semi-celebrity past as a psychic medium (whose paranormal abilities he now admits he feigned), Jane's role in cracking a series of tough high-profile cases is highly valued by his fellow agents. However, no-nonsense Senior Agent Teresa Lisbon openly resists having Jane in her unit and alternates between reluctantly acknowledging Jane's usefulness and blasting him for his theatrics, narcissism and dangerous lack of boundaries. Lisbon's team includes agents Kimball Cho, Wayne Rigsby and rookie Grace Van Pelt, who all think Jane's a loose cannon but admire his charm and knack for clearing cases. 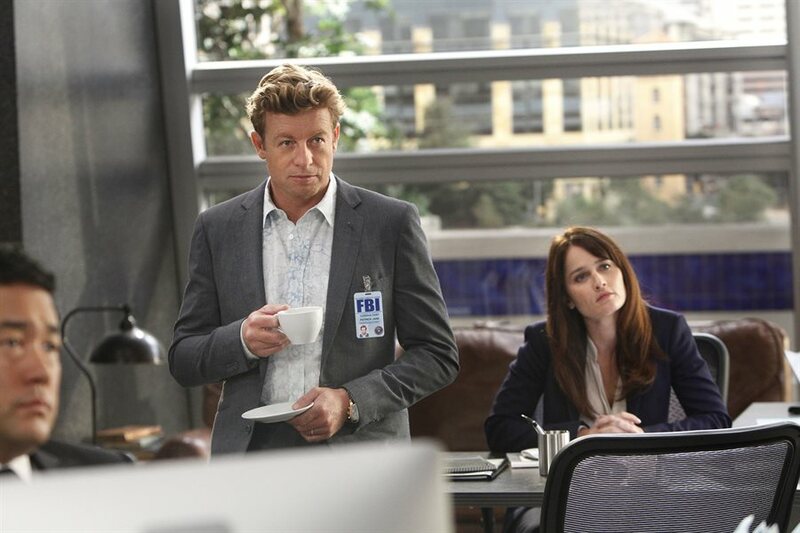 Download The Mentalist in Digital HD from the iTunes store. 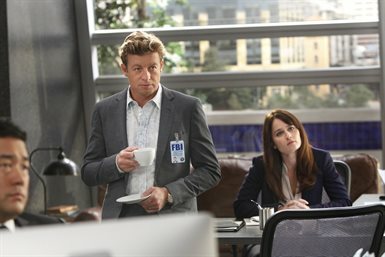 The Mentalist images are © Warner Bros.. All Rights Reserved. 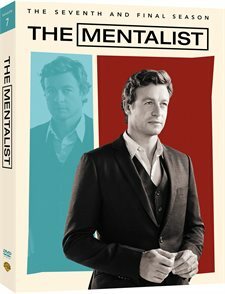 The award winning series, The Mentalist, ended its seven season run this spring and is out on DVD this week. For fans of the show this short season wraps up the series with a neat little bow. While it remains the same basic formula as past seasons, the "flavor" of the show changed by end of season six and that influence permeates the 13 episodes of season seven. In season six we saw the end of the Red John serial killer plot that has been the driving force behind Patrick Jane (Simon Baker, The Devil Wears Prada) since the shows inception. Also, Much to Jibson Shippers' delight, we saw Jane finally profess his love for his partner, Agent Teresa Lisbon played by Robin Tunney (The Craft). We watched beloved characters Wayne Rigsby (Owain Yoeman; American Sniper) and Grace Van Pelt (Amanda Righetti; Friday the 13th) depart the series as well. Season seven seems almost like an anti-climactic after thought to tie up all the loose ends left unresolved by the preceding season. While the weekly mysteries are still interesting and enjoyable to watch, the emphasis on Jane and Lisbon's relationship bored me. While I love Baker and Tunney in their roles, I have a difficult time believing the Jane/Lisbon love story. I have always enjoyed watching them as a team but never felt they had "romantic" chemistry. Seeing them as more than partners this season was awkward and uncomfortable and I wish the writers and left out that entire story line or better yet, ended the show after season six. The writers did an admirable job ending the series and making the fans who wanted a Jane/Lisbon romantic relationship happy. They rounded out their relationship like any good Disney film would…"and they lived happily ever after". Unfortunately, I just didn't buy it and it was all too neat in the end. I also compare The Mentalist to another current "cop" show where a police detective is partnered with a civilian and after 6 seasons the two main characters end up as a couple. While The Mentalist was the first of these two shows, I think the other (which shall remain nameless) does it a little better. The DVD doesn't offer too much in the way of outstanding visuals and sound as I prefer the 1080p video and 7.1 Audio of Blu-rays. It's the standard fare of what you would expect from a DVD so it doesn't disappoint if you know what you are getting. The extra retrospective about Patrick Jane and his "journey" was a nice touch. The basic stories presented in each episode certainly retain the quality the show has shown throughout the entire run so purists won't be disappointed by this short final season in that regard. Some may even love the romance and be excited by the developments that take place in the last episode. 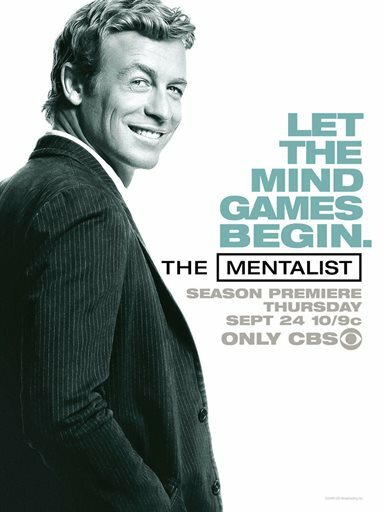 The Mentalist images © Warner Bros.. All Rights Reserved.